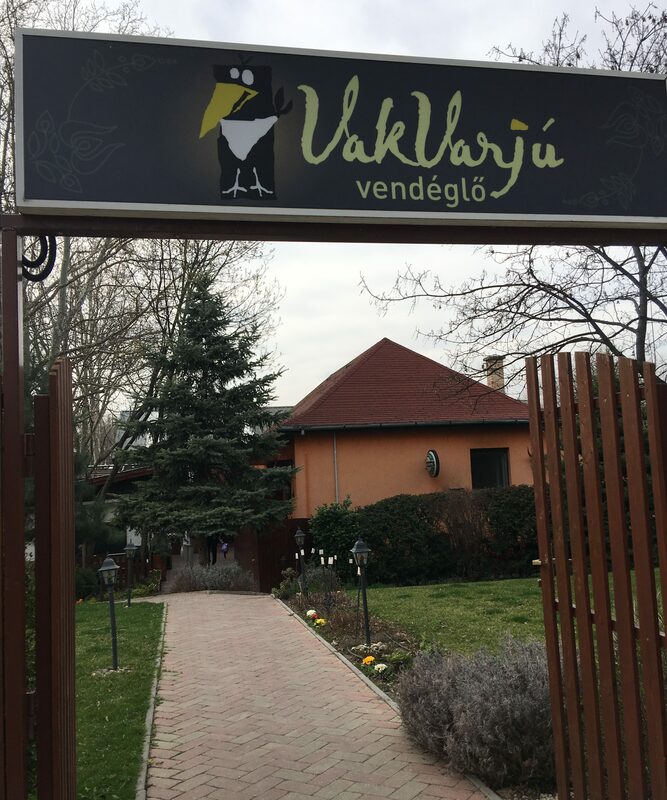 I had a business meeting on the Buda side and afterwards, we went for a nice lunch. Where it was, I have no idea. I do know it was south of the main area, about a 20 minute drive from there to the center of town. 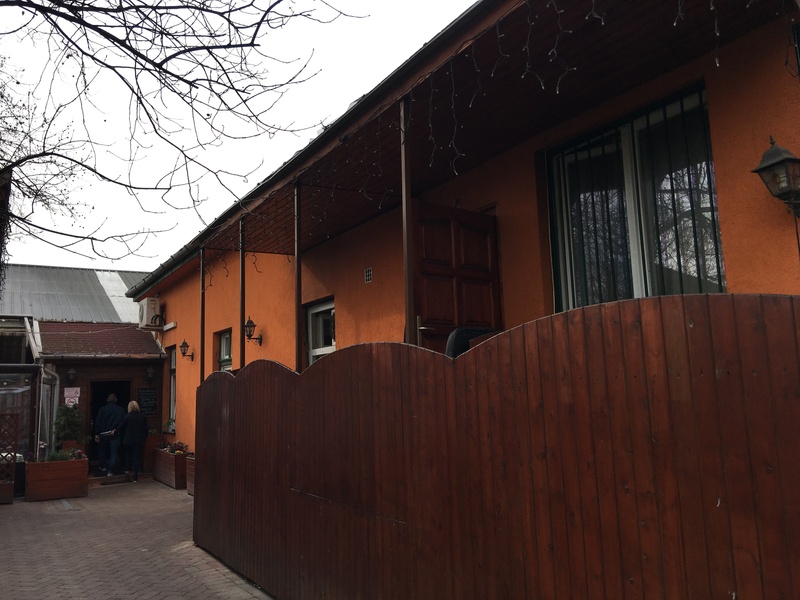 The address – Érem utca 2. It’s quite a nice place, set in a residential neighborhood, you would never know it’s there until you go into a small car park, and there it is! A path leads you to an inside and an outside. With such a lovely unexpected March day in Budapest, we sat outside. 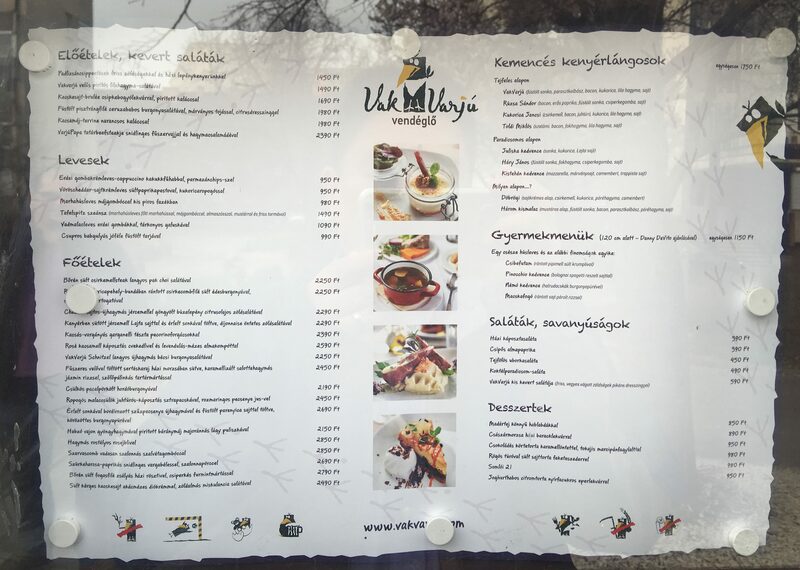 A menu in Magyar! I still am a little confused about their Lemonade. I think it’s Lemon Juice with Soda Water and then flavorings. 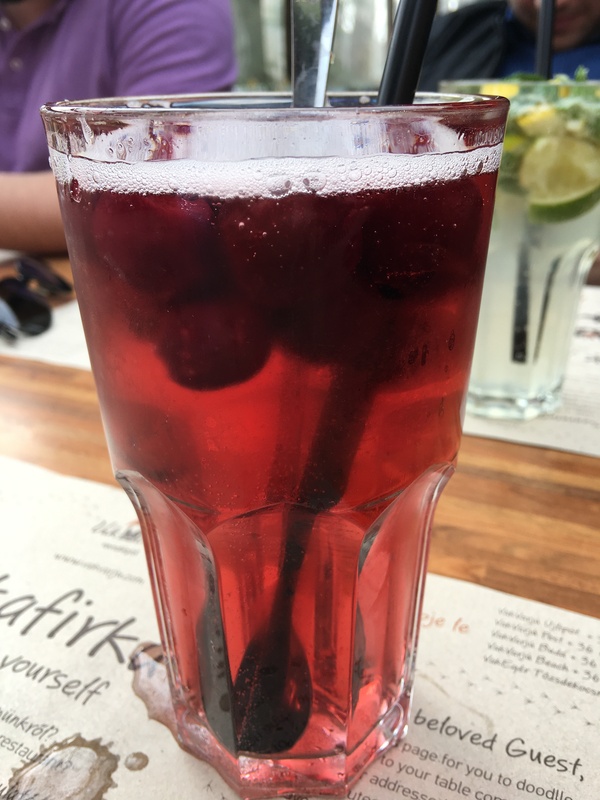 Anyway, this is the Sour Cherry one. Awesome and good for gout! 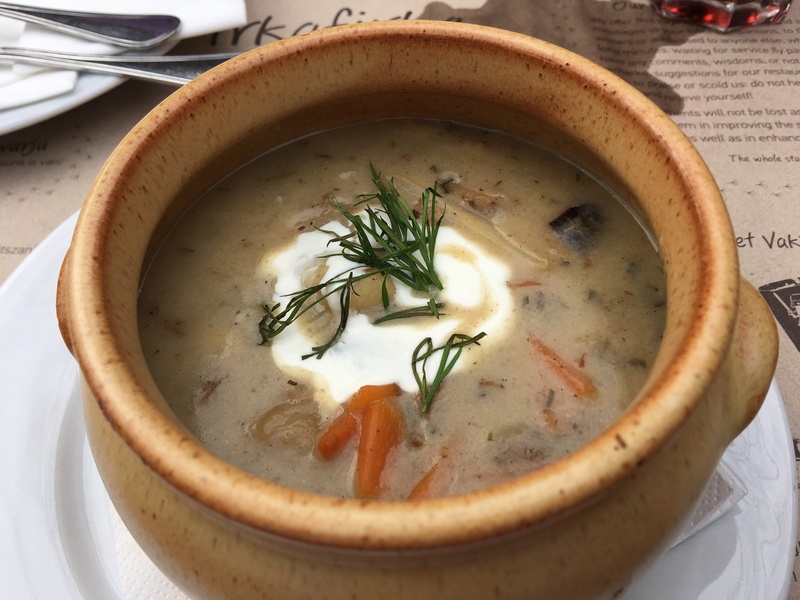 Started out with a lovely Vadmalacleves erdei gombákkal, tárkonyos galuskával (Wild Boar Ragout with Mushrooms and some Tarragon noodles). Nice, and tastes lighter than it looks. Good flavor! For a main, I didn’t want to go with heavy meats. Instead, I went for some more fish. 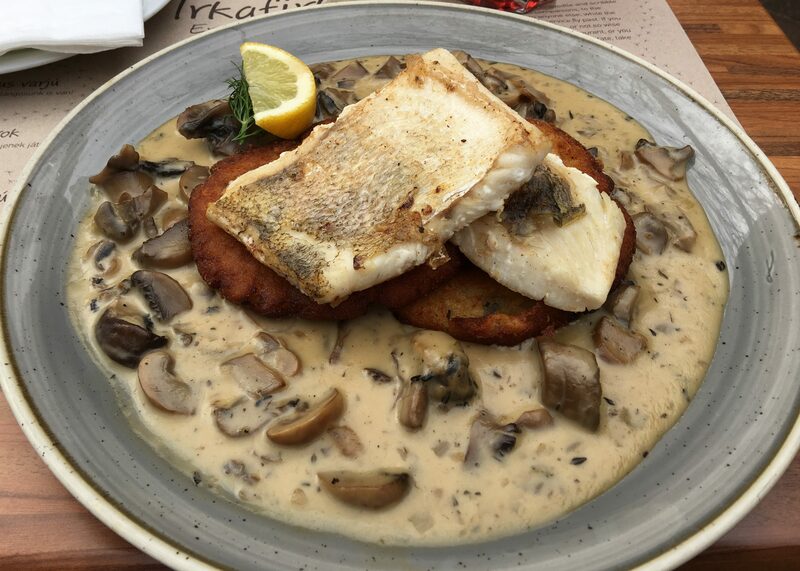 This time it was Bőrén sült fogasfilé zsályás házi rösztivel, csiperkés furmintmártással, or Pike Perch with furmint wine sauce creamed with champignon mushrooms served with a sage rosti. This was pretty darn good. The rosti was pretty heavy, as was the cream. I am not used to seeing a heavy cream sauce with fish though, but this worked. Out of nowhere rises good food, and this place was definitely that! 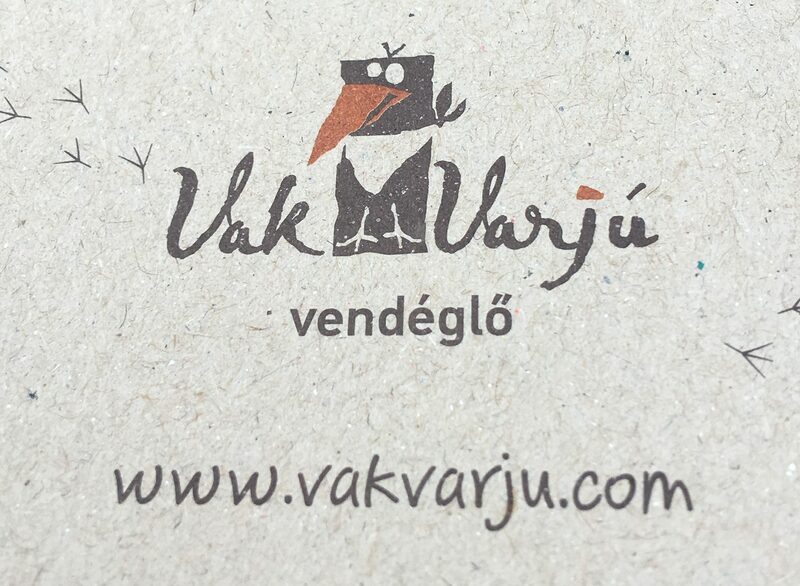 Posted in Budapest, Fish, SoupTagged Boar, Budapest, Fish, Hungary, SoupBookmark the permalink.